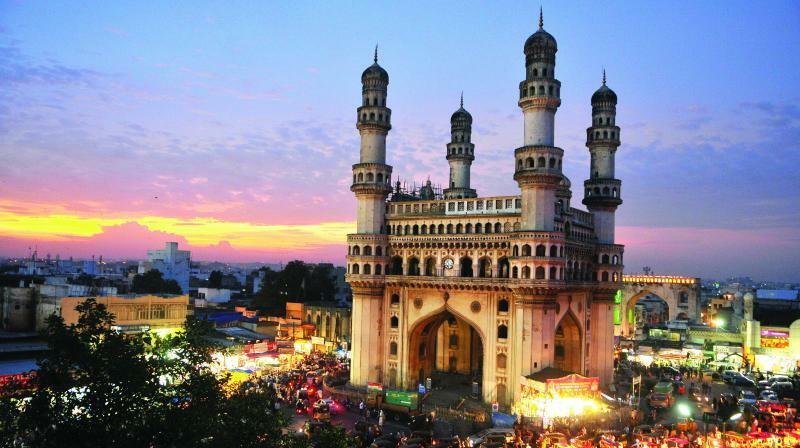 Hyderabad is the capital of the new state of Telangana, in Southern India. The Old City is the most commonly visited region for tourists. However, there are many other places to discover. Char Minar is the central landmark, which is surrounded by markets on either side. Secunderabad and Hyderabad together are known as the Greater Hyderabad. In the Old City (Purana Sahar in Hindi), you can see many old historical buildings. There is Taj Falaknuma; a palace that has been turned into a luxury hotel. On the southern part of the city is the colonial part of Hyderabad. It is an organized and green part of the city. The Western area does not have much for tourists since it is a business center. In the center of the city are a variety of exciting entertainment options, ranging from elegant restaurants to classy buildings. Visiting the city during the winter is a good idea since the temperature is pleasant enough to stroll around the city. Due to the Muslim population, Urdu is spoken here, aside from the official state language, which is Telugu. Travelers who know English can converse with locals. Nestled in the heart of the city, Char Minar (Four Towers) is set amidst the bustle of traffic. 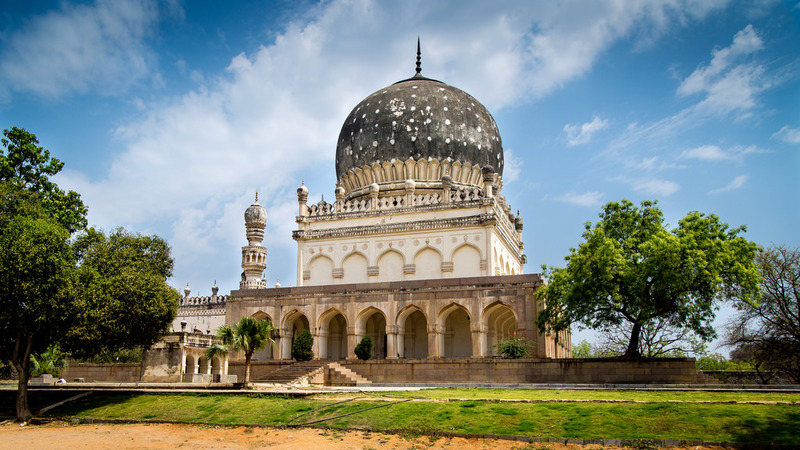 You can climb to the top of any o the four minarets and have a panoramic view of Hyderabad. Traffic, beggers, vendors, food, smell all give you an autheic experience of the place. Built on a granite hill during the reign of the mighty Kaktiya dynasty, it has witnessed the rise and fall of several other dynasties that ruled over the region at different points of history. Measuring around 400ft, it now attracts a large number of travelers, history buffs, archaeological enthusiasts amongst others. 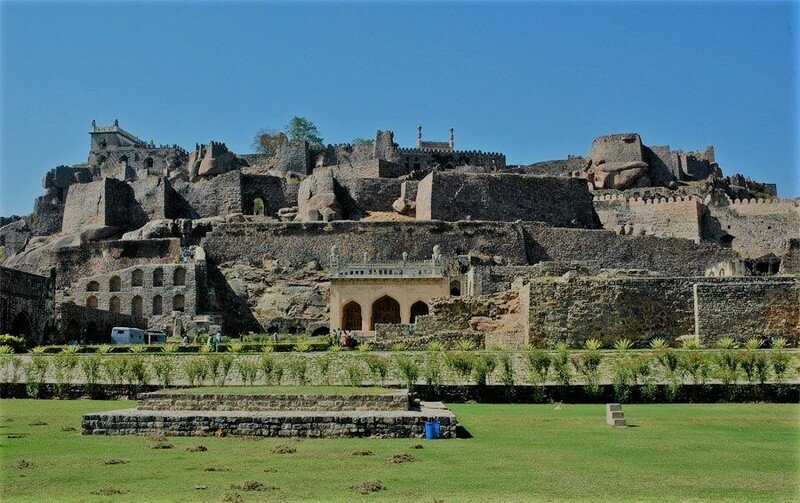 Located within a close proximity to the Golconda Fort, these are the tombs to commemorate the seven Qutub Shahi rulers who ruled over this region. 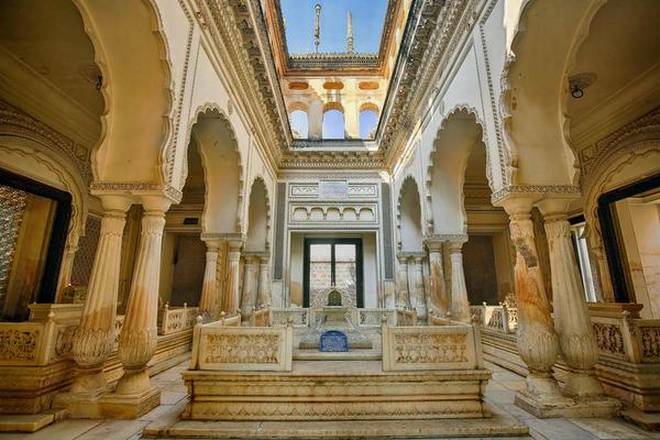 Set on square platforms, all the cenotaphs were built according to Persian, Pashtun and Hindu architecture and were intricately decorated with stunning chandeliers, covered with smooth velvets with silver poles as the support. For several decades, this meticulously designed palace hosted grand celebrations, witnessed several historic occurring and made a prominent mark of the royalty of the Nizams. Built over more than 40 acres, the remarkable architecture with elegantly crafted interiors it is believed to be inspired from Tehran’s Shah Iran Palace. Standing as testimony to the golden era of the city of Nizams, the architecture of the British Residency is believed to be inspired from the White House, the U.S. In the past, it served as the embassy of the East India Company and was later converted as Osmania University College for Women. Located in the vicinity of Pisal Banda, it is a testimony of the brilliant craftsmanship of the bygone era and is intricately adorned with mosaic works and marble stones. Adorned in stucco style, its shape and pattern are remarkable aspects as the geometrical pattern used in its construction is unique and isn’t found commonly anywhere in the world! This museum accommodates the biggest one-man antique collection from the world and is also the third largest museum in India making it a must visit in your Hyderabad trip. Following the legacy of collecting wonderful artworks from the distant European, Asian and other countries, the museum still keeps up the tradition of collecting and is a major attraction for the tourist that arrive in this city. Ramoji Film City is a fun place to visit with families. You can get the scenery of any country you want inside the city. Enjoy clicking pictures in the largest film studio in the world. The film city not just has a record-setting film studio but also is famous for both natural and artificial attractions. With an inbuilt film studio, amusement park and hotel, a visit to this stunning destination is one of the best things to do in Hyderabad. If you’ve always wanted to drive in a car shaped like a computer or a football this is the place to head to. It was started by a person so passionate about innovative designing and motors. There are 154 modified cars, in different shapes and as indicated by the museum they are all in working condition and it just keeps growing. Built by Hazrat Hussain Shah Wali in the year 1562, it was once the primary water source to the city and now serves as an important tourist destination as well as a major sailing destination in the country. This lake surrounded by a two-lane road is easily accessible in the city. A pleasant space for young couples to spend their evening. Smells sometimes, but that is the nature of any waterbody in a metropolis. Home to several rare and endangered species, this park set atop the Jubilee Hills is a must visit for wildlife lovers. If you visit this pictorial park in the morning, you can catch the glimpses of how the stunning sunrays fill in the ambiance with its golden rays to create a magical spell on everyone! With the breath-taking safari and jungle visit, one can have a relaxed experience and also enjoy the wildlife around in this park. The exotic species of animals are yet another attraction that exists in this park and are the major tourist attractions in Hyderabad. Having been in existence for around 200 years, Koti Sultan Bazar is famous for the latest fashion when it comes to women’s clothing. From silver junk jewellery to rare pieces, this market is a one-stop-shop for shopping in Hyderabad for all you ladies out there. 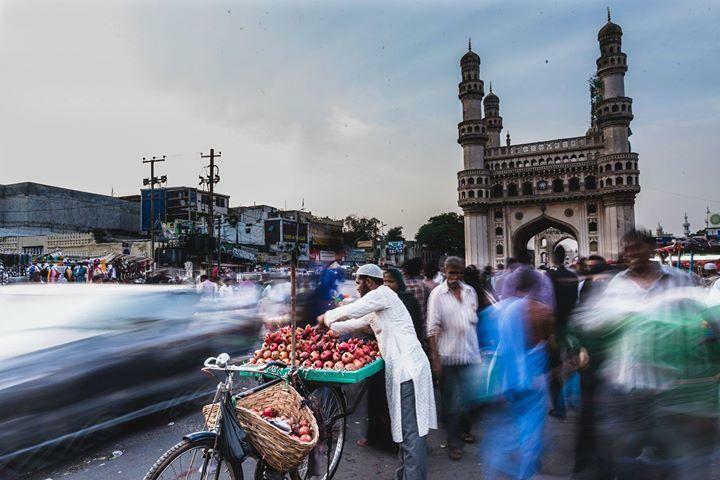 Close to the Charminar and Chowmahalla Palace, this place is also called the ‘Choodi Bazaar’ as the entire marketplace is known for selling bangles. Begum Bazar is renowned for the variety of items sold here. 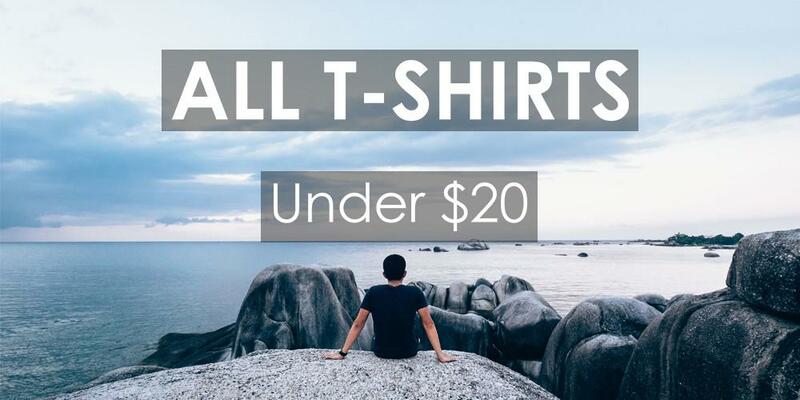 This includes household products and décor, kitchen essentials, cosmetics and daily use items, perfumes, and the list is endless. This Hyderabad shopping hub has been in business for the past one hundred and fifty years (150). Gold, silver, exotic dry fruits and fresh fish are also sold here. Located between the Laad Bazaar and Moti Chowk it is famous for having luxurious scents which are called ‘Itr’ in local lingo. Invest in small glass bottles and vile of perfumes made locally with absorb-able oils. Some of the shops in this market are centuries old and the business has been passed down the family for generations altogether. Dedicated to the supreme incarnation of Lord Vishnu, Birla Mandir was built by Swami Ranganathananda of Ramakrishna Mission. Showcasing the brilliance of Utkala, Dravidian and Rajasthani architecture, this temple is a blissful sightseeing spot for both the believers of Vishnu and lovers of ancient architecture. An absolute architectural marvel located in Hyderabad, Jagannath Temple is yet another major spot for tourist attraction in this land of Nizams! Catering to the numerous devotees of Lord Jagannath, this modern temple is also a masterpiece in terms of its architectural designs. Well, what makes this pious temple a tourist attraction is the fact that it is believed that a visit to this temple gets you visa clearance! 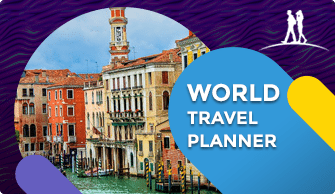 Visited by thousands of visa applicants, it is nestled amidst lush greeneries and its brilliant architecture proves to be a treat for the history and architecture enthusiasts. Mecca Masjid, also called Makkah Masjid, the construction of which involved close to 8000 masons who worked round the clock. This construction went on for almost 77 years! 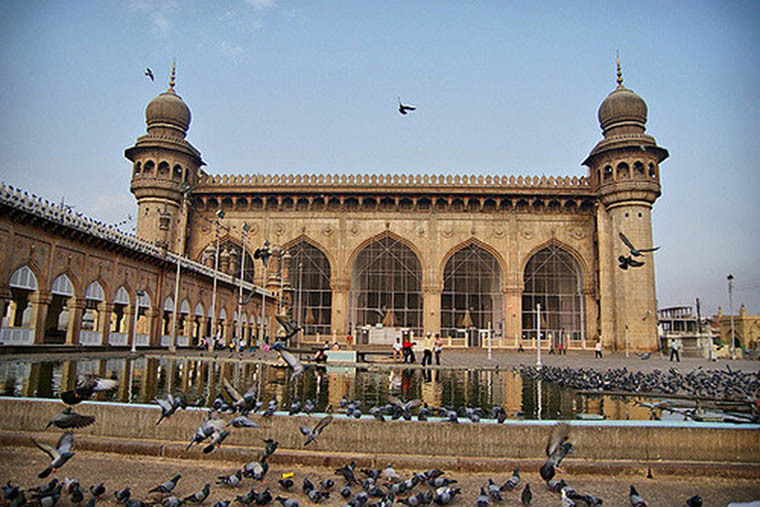 Located in the Old City, at a distance of 100 metres from the Charminar which is another popular place for sightseeing in Hyderabad, Mecca Masjid is one of the largest mosques not just in India but also in the world. Located on a hilltop, Moula Ali Dargah in the Moula Ali suburb of Hyderabad was originally built in the memory of Ali, the son-in-law of Prophet Muhammad. A place of high religious importance, it was originally built as a masjid and said to have the handprints of Ali. Buit in 1671, this masjid is located 2km from Golconda fort and is worth visiting on the way to the fort. It is a heritage site conserved now by the ASI. Established in the year 1820, St. Joseph’s Cathedral Hyderabad is counted among the most resplendent Roman Catholic churches in India. Situated in the Gun foundry area of the Pearl City, it reflects the best of Italian architecture. An interesting feature for art lovers is the replica of a masterpiece by the ace sculpture Michelangelo, ‘Pieta’. 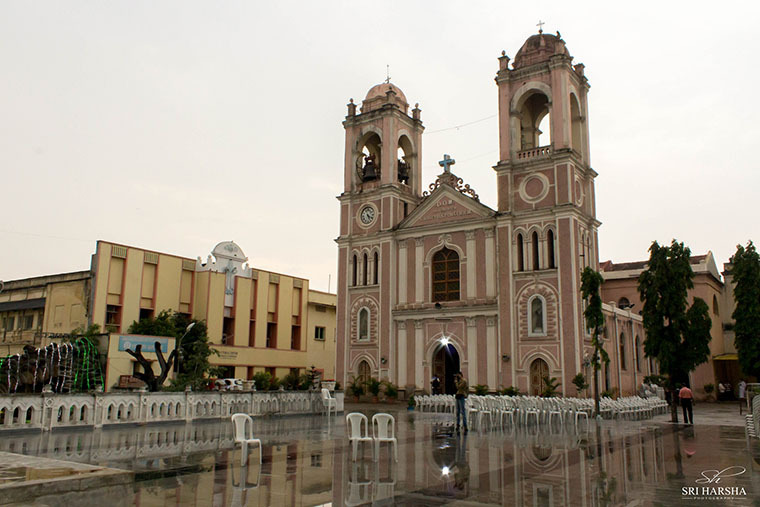 Claimed as the oldest churches in the city, was built in 1844. The Church near the Residency is still active with daily communions taking place. If you happen to yearn for some of the most amazing or adventurous things to do in Hyderabad, you must make it to the Hyderabad Adventure Club. A hub of the adrenaline junkies, this club conducts several enthralling activities like trekking, paragliding, white water rafting, bouldering and several others. Heritage Walk – They happen every Sunday and second Saturday near the Charminar in the mornings organized by the TS tourism department and should definitely be on your list of things to di in the city. Lumbini Park – Everyday from 9 AM-9 PM you can see water cascades, and go on guided car rides. You can even get on a boat ride and see the Buddha statue at the centre of the lake. Dhola Ri Dhani – In Hyderabad experience typical Rajasthani food in their attire and setting by visiting this restaurant. In the evening, the whole village is lit up with 2,000 lanterns and a village fair is staged. Cycle around the city – Hi-tech City Bike Station is a popular place on weekend mornings for renting a bicycle for up to 4 hours. 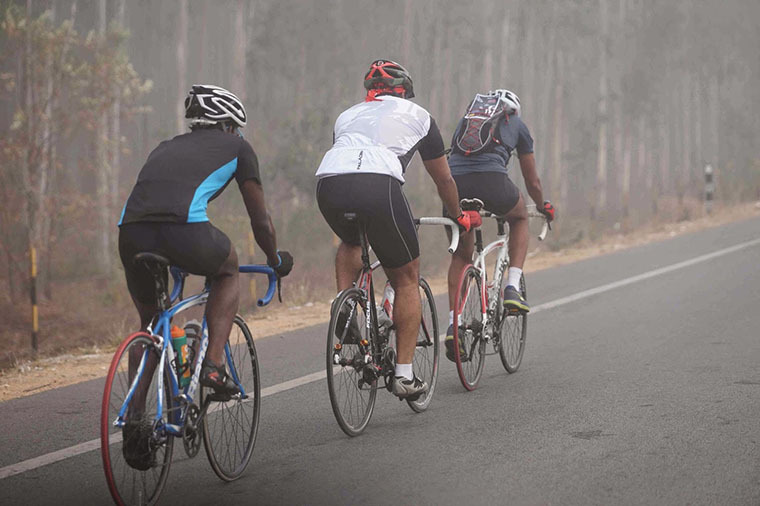 You can take the service road of Outer Ring Road and ride the scenic Gandipet lake route. Archery – Visit Runway 9, as this park offers archery, air rifle (BB gun) target practice, and go-cart racing on a track with tight corners. An exciting adventure when in the city. There is plenty to do at night in Hyderabad, though local regulations have most places serving last drinks by 11 PM. 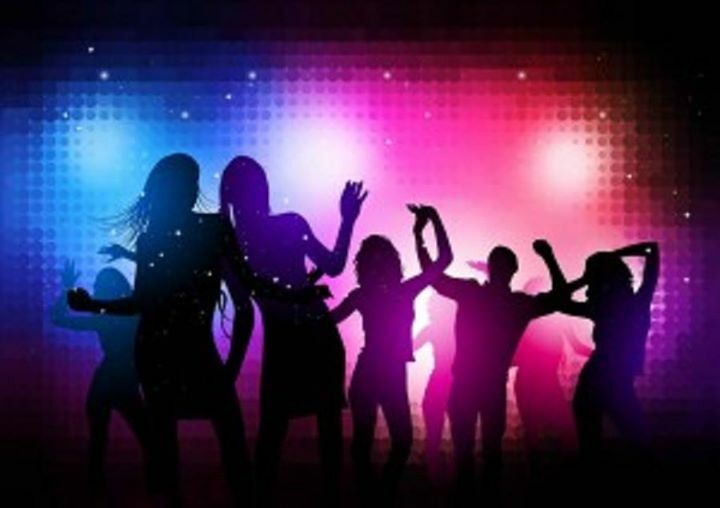 On weekdays, drinks in the some of the pubs have best offers, as most clubs are empty until Thursday or Friday nights when the clubbers emerge. Hyderabad is well-known for its divinely delicious cuisine. The cuisine of Hyderabad reflects sheer royalty as these were once served to the ‘Nizams’ of Hyderabad. The culinary dishes in Hyderabad have a 400-year history and as centuries have passed, the cuisine of Hyderabad only got more delicious. One of the most famous dishes in Hyderabad is the ‘biryani’. The first biryani of Hyderabad was a non-vegetarian dish consisting of rice, meat, spices, and herbs. 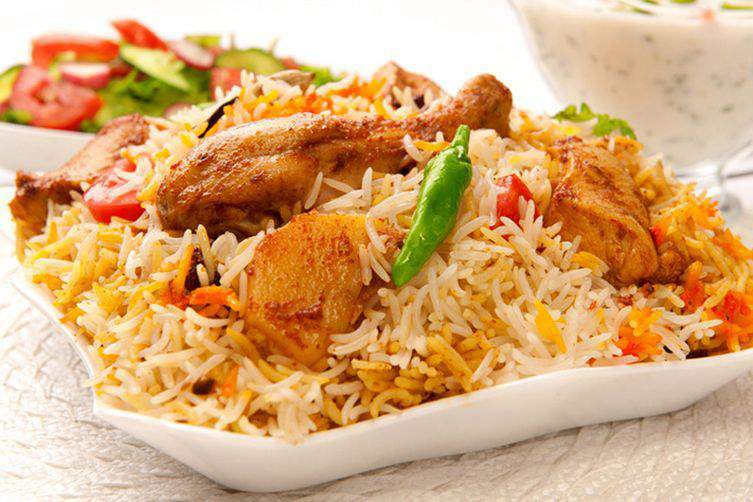 According to history, the ‘Nizams’ served 26 different varieties of biryani to their guests. Mouth-watering chicken curries available in all restaurants in Hyderabad include the ‘Murghi Ka Khorma’, ‘Bina Masale Ka Murgh’, ‘Murgh Nawabi’ and so much more While the lamb curries like the ‘Chugur Gosht’, ‘Kulfa Gosht’, ‘Turai Gosht’ and ‘Pathar Ka Gosht’, are such exquisite dishes that they will be remembered forever. For vegetarians, the taste of special curries like ‘Katti Dal’, ‘Tamaton Ka Kut’, ‘Kaddu Ka Dalcha’ and ‘Sem Ki Phalli Ka Salan’ will surely get you asking for more. 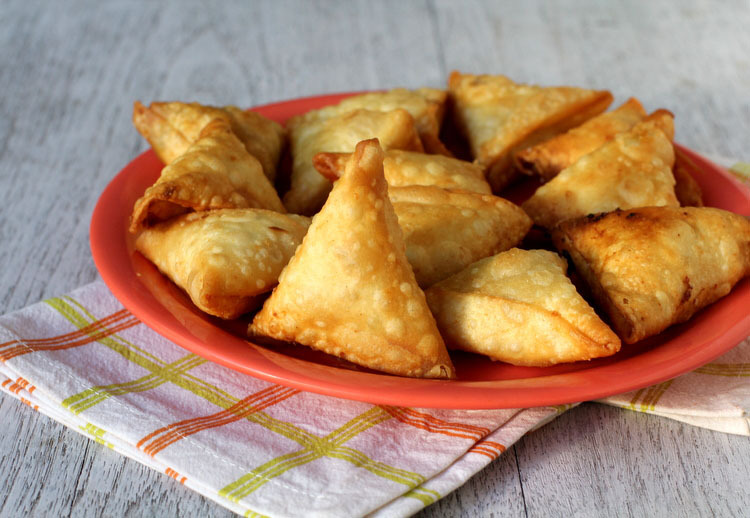 The ‘Chota Samosa’ is indeed a special crispy delicacy of Hyderabad. The ‘Osmania’ biscuit is a biscuit named after Hyderabad’s last ruler. Many other varieties of biscuits are available here, so you can buy and take home your favorite biscuits. The ‘Dil Khush’, ‘Dil Pasand’ and ‘Lukhmi’ are other famous snack items of Hyderabad. For desserts, The ‘Faluda’ is one of the most renowned desserts of Hyderabad. This popular dessert never fails to entice anyone. If you have a sweet tooth, then do have the ‘Gajar Ka Halwa’, which is a delicious carrot pudding. ‘Qubani Ka Meetha’ is another special dessert that is actually apricot pudding garnished with almonds. The ‘Badam Ki Jhab’ is also known as ‘marzipan’ and is a famous dish enjoyed by the people in Hyderabad. A unique dessert served during grand celebrations is the ‘Sheer Korma’, which is a type of vermicelli pudding. Hyderabad’s new Rajiv Gandhi International Airport is located 22 km (14 mi) from the city. From there you can take a cab to get into the city. Transportation in Hyderabad is excellent. You can take a taxi, a cab, a car or a bus. Beware of being charged unfairly by unmetered taxis. It has good bus service, good autorickshaw service (although they never charge by meter and always overprice, making cabs cheaper) and well-developed Radio taxi services as well as new app-based services such as Uber and Ola. There is a local train service too, but it is grossly inadequate and unreliable. Try the Metro instead to get to places within the city connected by the metro stations. Like many Indian cities, Hyderabad has a tropical climate. The best time to visit the city is from mid-November to mid-February. Temperatures are mild with abundant sunshine during this time and an average temperature range from a low of 15°C (59°F) to a high of 29°C (85°F). March to June is hot and dry with occasional thunderstorms. Highs can reach 45°C (113°F) or more and lack of air-conditioning can make it feel very uncomfortable. July, August, September, and October can be quite warm and humid and low-pressure systems from the Bay of Bengal during the monsoon season can cause heavy rain for days. 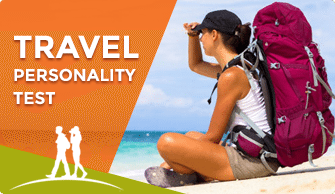 If you want to get some adrenaline pumping into your system, then you contact the Hyderabad Adventure & Trekker’s Club and find out more on how you can plan a trek for exploring the wild. South India is a literate part of the country. Thus, any average local can speak with you in English, although the lingua franca is Telugu. The city is one of the main places where Urdu developed, and the dialect spoken primarily by the large Muslim population is known as “Deccani Urdu” or Dakhani Urdu” hence Urdu is widely used too. Hyderabad is a rather safe metropolis. Muggings and violent crime are uncommon, most crimes involve thefts. Avoid staying out late at night, especially if you are a single woman. 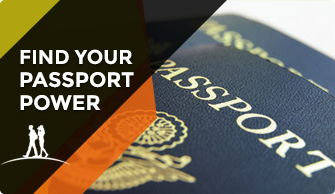 However, foreigners will be hounded for money at tourist sites like the old city. Just ignore the beggars and they will go away.